IT systems’ uptime and optimum functionality are of critical significance, given the dependency of organisations on computing devices for end-to-end operations. Explore the top five ways using which enterprise IT teams can maximise device availability and reduce instances of unforeseen failure in corporate systems. In today’s technology-driven world, organisations rely heavily on their network of computing devices for running business operations. Due to this, maintaining maximum system uptime is of critical importance across industries and markets. Simply put, malfunctioning workstations can be directly equated with loss of revenue. Every hour of system downtime costs hundreds of thousands of dollars to enterprises. Even a single IT outage in a company can significantly affect its bottom line. Enterprise owners should always be vigilant about the physical state of their systems. Since these devices are used by multiple employees and staff on a daily basis, they are inevitably prone to malfunction at any point during the day. System failures can result from a malfunctioning hard drive, operating system crash, or due to any other software/hardware issues. However, keen inspection of every aspect of the IT infrastructure is imperative to identify and locate the symptoms that eventually cause system failure. 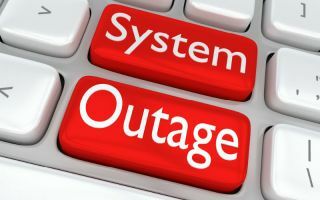 In fact, the employees should also be notified to immediately report any sign of potential malfunction so that requisite actions can be taken by the IT staff to prevent system damage and consequent downtime. Software glitches and other system vulnerabilities may potentially lead to system downtime on a regular basis. One of the primary ways to combat such issues is to update driver software, the operating system, and enterprise apps as soon as their patches/latest builds are released. If not updated for a long period, the devices may exhibit severe performance lag. In the worst case, they can completely crash. Installing updates regularly patches system vulnerabilities or upgrades software according to latest advancements, thereby boosting device functionality and preventing unforeseen interruptions. However, software upgrades (especially operating system updates) consume a lot of time during which the devices usually have to be left idle. So, instead of scheduling the updates during work hours, it is advisable to do so when the devices are not operational, for instance after office hours or after a particular shift. The purpose of backup is to keep at least a second copy of your important data in case the original data gets corrupted or lost. Almost all organisations have faced incidents where they’ve lost data due to a sudden system crash or a malware attack. Cloud is always one of the safest backup options, as reliable cloud services typically store at least three copies of files in different places. Your data can only disappear if all three copies are destroyed at the exact same moment. Moreover, given that you have your own credentials, no other user can access your data, thereby ensuring adequate data security. Cloud services also ensure secure sharing of files as the owner of the document has the right to provide access to only the stakeholders. Depending upon the cloud service provider, the owner of the files can also specify whether the access should be read-only or read/write. It doesn’t involve the hassles of copying and mailing those files. In case of on-field devices that do not have uninterrupted internet access, implementing a backup mechanism using an external drive is necessary. However, keep cloud backup is advised even to organisations deploying field computers. It provides double assurance — the external drive can be used to backup files in real time while the cloud can be used when the data is brought back to the office or wherever the internet connectivity is available. Cybersecurity, in reality, works like preventive medicines. You won’t know if it is working or how well it is working, but you do get to know when it fails. IT security is not simply limited to installing antivirus software and regularly updating it. A 2017 report highlighted how traditional antivirus programs had failed to secure about 40% of users, who have two or more software installed on their systems. Organisations should have well-defined security procedures to address how its staff accesses and interacts with the technology deployed in their facilities. Implementing a two-factor authentication to assure privacy ensures protection. While setting parameters for passwords and pins, ensure that they are robust. For instance, it is a standard practice to specify the number of digits and characters for pins and passwords. Depending upon the required level of security, the inclusion of symbols and alphanumeric characters can also be made compulsory. Similarly, making users change their passwords periodically adds another layer of security. Such policies can be unilaterally applied organisation-wide, from front-line staff to senior management. Moreover, it is essential to actively train employees on cybersecurity measures and also urge them to seek help from IT staff if they come across anything suspicious or unexpected. It often seems that all the necessary measures for security and privacy are being taken, but some issues usually get invariably overlooked. A good practice is to consult a vendor for conducting comprehensive assessments, review employee training, and suggest improvement strategies. Preventive measures to reduce downtime should be fortified by corrective measures. This involves installing system recovery software that can resolve IT issues quickly. Deploying a reboot and restore software as a restorative mechanism will be effective in this context. Reboot and restore software enables users to restore the preferred state of endpoints instantaneously when they fail to function as required or break down unexpectedly. Users - be they field employees or in-house senior managers - simply need to restart their devices to automatically revert it to the desired working condition. Once installed, software leveraging reboot and restore technology saves a device’s current configuration as the preferred state. This baseline is essentially preserved as the point to which that device will be reverted when rebooted. As the device restarts, user-made changes are eliminated and the preferred configuration is rolled back, restoring flawless operations immediately. By implementing restorative as well as preventive measures, enterprise owners can ensure that employees do not have to suffer adverse consequences of downtime and thereby maximise system availability at their organisations.